Providing users of mobile phones with the same level of protection and security as their ‘landline’ based colleagues is a customer message that has grown in intensity in recent years. So much so that demand has been driving technical development and the first systems designed for corporate usage came into operation during 2009. This article provides a summary of the technology being used and how specific customer requirements are addressed. Our first question to customers looking to implement this technology is: ‘What is the reason for recording the call and what are the ramifications if the recording did not take place?’ The answer to this question neatly defines the nature of the call and the technology that must be used. Where the answer denotes that calls ‘must’ be recorded in line with a specific compliance or industry regulation, then secure rules-based, tamper-proof technology must be used to ensure adherence. Where ‘compliance’ is not an issue then a wider choice of open network technology can be applied. OPEX Hosting saw a significant take-up of mobile recording applications on ‘open network’ technology during 2009. This was primarily in the public service sector where continuity and operational contingency were the principle drivers as a result of the ‘Swine Flu’ pandemic. The technology applied to this application uses the ‘Call Craft’ suite from OPEX Hosting; in this instance the call is recorded in the cloud and (based on requirement) is either retained in a secure storage environment or the file is transferred to a predetermined customer storage facility. ‘Compliant Recording’ for mobile phones is a more complex arrangement because the technology needs to meet the demands of the overseeing regulatory bodies, the finance industry being a prime example. When the FSA mandated last March, that all electronic communication within specific market areas must be captured, a special exemption was made for the use of mobile devices because the technology at that time was incapable of providing the functionality required. Today that is no longer the case and mobile technology can now accommodate these working practices. The FSA has already announced that in mid March it will commence the consultation process on whether to remove the COBS 11.8.6.R (1) recording exemption. The technology for Compliant Recording is rules-based so the headline criteria means that the application must be locked to the phone and the user has no option to make or receive a call that is not recorded. In addition, it must also be tamper-proof so that no recording can be accidentally lost or deliberately destroyed after the event. The technology applied to this application uses Business Systems Compliant Suite which provides locked routing of all calls to and from the mobile devices and recording takes place on the corporation’s existing call recording platform. 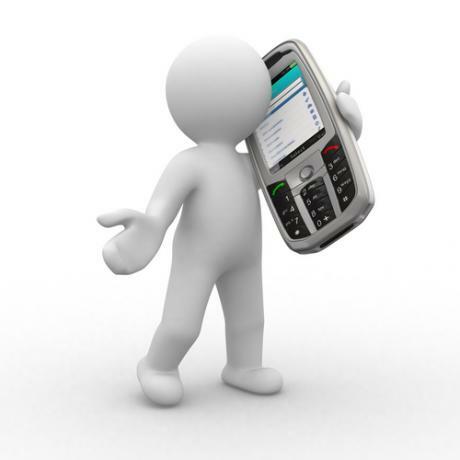 SMS and IM (instant messaging) is also handled in the same manner and seen as necessary to satisfy the FSA regulations. In most instances there is no reason for customers to change existing mobile handsets, carriers or recording platforms. The Business Systems Compliant Suite is available in either an On-Premise version as described above or as a cloud application via its sister company OPEX Hosting. The hosted solution has usage-based charging, requires no capital expenditure and is ideal for smaller organisations with no current recording capability or larger corporations that are looking to outsource their establishment costs. In conclusion, the ability to record mobile devices in the same manner and at a similar cost to traditional landline devices has truly come of age. Not only do we have the protection afforded by the recording but also additional business benefits that the mobile environment provides, this being greater working flexibility and communications contingency as seen with the flu pandemic and snowbound disruption around Christmas and New Year.